For friends and family members that wear wardrobes on the more flamboyant side, consider giving them Yellow Orange Checkerboard Enamel Cufflinks. Bright and dark yellow squares alternate to form an aesthetically pleasing addition to any shirt. 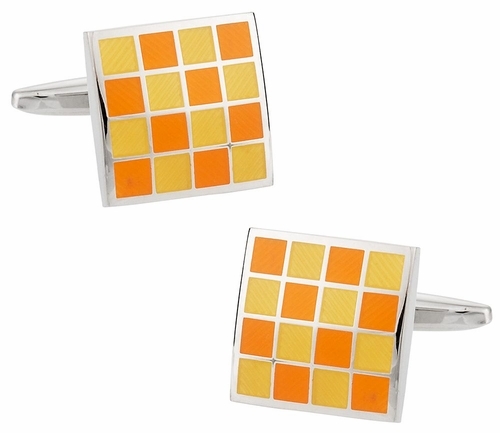 Enamel coating prevents the cufflinks from chipping because of constant use. The silver tone setting offers a nice design complement to the colorful checkerboard display. Racing fans should like the checkerboard design, as it resembles the checkered flag waved during racing events.